Many different exercise machines can be used for low-impact exercise or high-intensity interval training. So whether it is a treadmill, rowing machine, ​cross trainer, or a stationary bike, there are a lot of options to consider. Treadmills and stationary bikes are two of the most popular choices. Both provide an excellent aerobic ​workout that helps to improve fitness and aid in your weight loss goals. So which is the best choice when comparing a treadmill vs exercise bike? A good exercise machine is not a cheap investment so to help you make the right decision we decided to see what the latest research has to say on which one of these two provides the most health for home use. 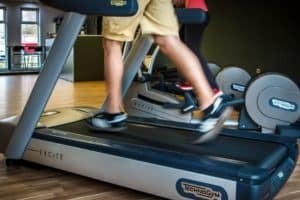 Below we detail our finding on the top five reasons the research shows that treadmills have the edge over exercise bikes. 1. Treadmills provide a full-body workout, not just for ​toning legs! When you run, you workout almost every muscle in your body. Of course, you work your legs, but running has been shown to help in the development of abdominal and back muscles. These are the muscles that stabilise you as you run. ​Also​, believe it or not, you'll get a good arm workout. Pumping your arms back and forth when you run takes effort and helps you build a strong body, not just strong legs. This can be further enhanced by holding lightweight dumbbells while you ​jog. Running feels like a lot of work… because it is! 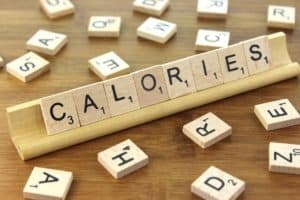 If losing belly fat ​is your goal, then you are going to want to hop onto a treadmill, not rest your backside on the saddle cycling along on a stationary bike. ​Few cardiovascular workouts that are going to burn more calories than ​running does. Treadmills typically burn 600-1200 calories per hours versus 500-1000 calories per hours on a bike. Why the difference? It's because when you're sitting on a bike you're not having to fight gravity the same way you are on a treadmill. There are also HIIT workouts and other methods you can use to burn even more calories on the treadmill. 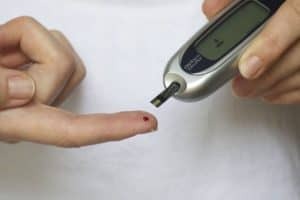 There are many risk factors that you can’t control when it comes to diabetes and heart disease. Some of these factors include your race, your age, and the genes you got from your parents. Though diet is critical, treadmill exercise has been shown to play a ​key role in managing blood sugar. Another study in the treadmill was shown to be better than exercise bike in tests on hypertensive subjects. So along with burning more calories and assisting in maintaining healthy body weight, a treadmill regimen will help you reduce your chances of getting diabetes and other diseases. A treadmill is a functional workout. There are many machines that people use in the gym that can help tone build aesthetically pleasing muscles. However, one of the biggest criticisms of some of these machines is that they have limited functional carry over to everyday activities. For example, it means that on a stationary bike you are working your muscles in a range of motion that you typically won't do in everyday activities. Fitness is 'sport specific' so although a bike will ​undoubtedly make you a better cyclist than a treadmill, it won't help you as much when your out and about living your life. A treadmill is a very functional way of working out because you use your muscles in those specific ways when you walk and run. 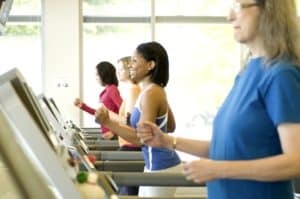 A treadmill is an ideal exercise machine if you are trying to lose weight and burn more calories. Walking and running are two exercises that require your body to use more muscle, and they simulate the experience of walking or running outdoors. Most treadmills provide incline level settings and workout options so that the runner can mimic hilly terrain outside which also forces more power and energy to be exerted through the legs. 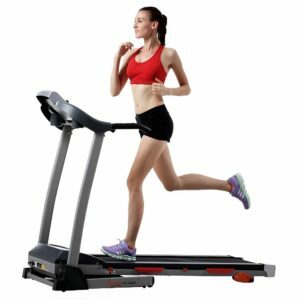 Treadmills can accommodate many different body types and sizes and they are ​incredibly convenient even for overweight or heavy beginners. Come along let's enjoy our fitness journey together!